For more information on WWOOFing, be sure to check out 10 Reasons Why WWOOFing is a New Zealand Must Do and Everything You Need to Know About WWOOFing in New Zealand. WWOOFing is a concept where a host will exchange a free bed and free meals in exchange for help with daily tasks, such as farming or housekeeping. WWOOFing is extremely popular in New Zealand with hostels and small organic farmers. The usual deal is to work 2-4 hours per day for 5 days a week in exchange for a week of accommodation and food. For more more information, check out WWOOF vs HelpX. 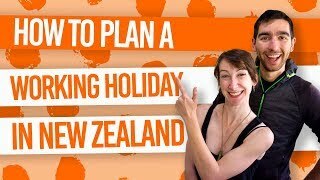 What visa do you need to WWOOF in New Zealand? Before we start with your rights as a WWOOFer, let’s quickly cover if you have the right to work for accommodation in New Zealand. To be able to work for accommodation or even volunteer and be provided with lodging, you have to have a valid work visa. It can be a working holiday visa or another type of work visa. Since accommodation is considered as a reward for work, under New Zealand laws you cannot work for accommodation in New Zealand if you are on a visitor visa. If you do so, you and your employers can be faced with charges. Be aware, inspections have been much more regular in recent years. For more information about visitor visas, see Visitor Visa: Do You Need a Visa to Visit New Zealand? Do you need a contract to work for accommodation in New Zealand? Most WWOOFing hosts have a pretty relaxed attitude and take a simple handshake as an agreement between you and them. However, under New Zealand laws, you have to have a proper work contract when working for accommodation. Your contract will detail the specifics of your agreement, as well as offering you the option to work for accommodation or wage. You cannot be offered only the option to work for accommodation, you should be offered both either a wage or accommodation. It is important for you to know that an employer doe not have the right to force you to take accommodation with them. By law, you do have the choice to be paid a fair wage or rewarded with “board” or “lodging”. Finally, the value of the accommodation provided cannot be lower than the value of your work at minimum wage. For instance, if you work for accommodation for two hours per day at a minimum wage of NZ$17.70, your reward must be of a minimum value of NZ$35.40. 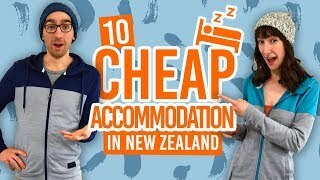 Do you need to pay taxes when working for accommodation in New Zealand? You do not have to pay taxes when WWOOFing in New Zealand as you are not being rewarded with a wage. However, your employer will have to pay both New Zealand taxes (PAYE and ACC) on the value of your accommodation (NZ$50/day in the example above), as well as GST on the accommodation provided. This ensures that you are well-protected as an employee and have access to the great New Zealand medical system. Read our article on ACC for more details. Can I accept cash payment for my extra work on top of accommodation? As long as it is declared properly, you can. If it is just “cash under the table” it is illegal and you and your employer can be taken to court. Any reward for your work must be properly declared and taxed under the New Zealand tax code and the same conditions than above applies. This is not a complicated process to abide by but it protects employees and employers countrywide. Can I accept other forms of reward from my WWOOFing host? Let’s say that your employer knows the team at the nearby white rafting company and wants to shout you a free rafting trip. Can you accept it? Yes, you can. Should you accept it? Hell yeah! White water rafting is awesome!!! The rules are: the reward should not be contingent to your work. If it is offered to you under a condition like “Do an extra five hours of work and get this trip”, then it is considered as a reward for work and will be seen and treated under the same tax rules above. What if I don’t have a work contract with my WWOOFing host? You are then working illegally in New Zealand and this can have big consequences for you and your employer. There are sample contracts available for employers to use and most of them know the rules as those laws have been the same for years. If you do not have a contract with an employer, under New Zealand law, you are entitled to a full wage with only 5% deduction for lodging and 15% deduction for board for your labour. WWOOFing contracts are short and sweet and simply ensure a fair working environment for you, your employer and New Zealand as a whole. It is a very small price to pay for a huge reward, so do it right.